After a brutal summer with scores of days with over 100 degree temperatures, you wouldn't expect that there would be anything left in the vegetable garden. And you'd be right. Except for peppers. On days when just living was more than some plants could manage, they stood steadfast, leaves limp in the blistering sun. We continued to water even though there were few fruits during those days. But now branches are hanging heavy with peppers. Cooler temperatures and rain have made a big difference! Glossy Ancho (or Poblano) peppers are the most beautiful pepper in the garden with their shiny, dark green skin. They taste as good as they look with a rather mild flavor this year. My favorites, the Anaheims are growing long and starting to thicken and fill out. They are usually fairly mild, but sometimes they pack a little heat. There are banana and jalapeno peppers, too. There may even be some Habanero peppers which are so hot, they scare me. Until about ten years ago, the only peppers we had in our garden were bell peppers and I didn't particularly like them. Usually I served them raw, but they had a rather bitter undertone. I could still taste it when they were cooked in recipes. Not too bad, just not all that good. Now we have a variety and I enjoy them all (except I do retain a healthy respect for those hot, hot Habaneros). One reason is that I have discovered .....Roasting! Roasting takes care of any bitterness. When you roast a pepper, you char the skin so that you can remove it. Let me show you how. Anaheim and Ancho Peppers are on the grill for roasting. To roast peppers, you need a heat source. Here I have fired up the gas grill. You can see flames which far less than ideal if you are grilling meat, but with peppers, this is not a problem. I have learned that it is best to wash the peppers, but leave them whole for roasting. I rotated these peppers over the flame until they were charred. Alternatives to a grill are the broiler in the oven, the flame of a gas stove and I have used a dry cast iron skillet on an electric stove. Keep turning the peppers until all sides are charred. There is a fine line between charring and burning. Basically you want to char the skin, not the flesh underneath. Most of these are ready to remove from the grill. Those in the lower left corner need to roast a little longer. You'll hear the peppers pop a little as the air inside the pepper expands and sometimes the skin begins to split. You'll be smelling the distinct scent of roasting peppers. Keep all of the peppers on the grill until they are all ready before taking the next step. Pop your peppers into a paper bag. Now grab those peppers and place them into a paper bag. Work quickly. When they are all inside, close the bag and roll the top down. Those peppers will be doing some steaming! Leave them until they are cool enough to handle. Split the pepper and remove the seeds. The skin should peel off easily. When they are cool, remove from the bag, split the pepper and remove the seeds. Flip over the pepper and remove the skin. The skin is very thin. It reminds me a little of peeling skin after a sunburn which I had a strange fascination with as a child. It's a little messy and takes some time. Sometimes there is an area of skin that isn't charred and won't peel. Don't worry about it. Just take off what comes off easily. If you are roasting very hot peppers, you may want to wear gloves. Beware of touching your eyes or skin because of the burning sensation. It doesn't hurt the skin, it just feels very hot! This is only with the very hot peppers. Roasted Ancho and Anaheim peppers. You can use them right away or freeze them for later use. I usually freeze in a single layer and then, when frozen, place them into a freezer bag. What do you do with roasted peppers? Include them in scrambled eggs. Add them to casseroles. Top a sandwich or hamburger with one. Marinate them. Make an awesome dip. Here are a few recipes to get you started. Mix together. Serve warm or at room temperature with crackers. Beat eggs, add flour. Add remaining ingredients, except peppers if you are placing on top. Pour into a sprayed 9X13 inch baking dish. Bake at 350 degrees for about 35 minutes. I often halve this recipe and bake in an 8 inch baking dish. What a different world my children live in than the one my grandmother was born into over one hundred years ago. 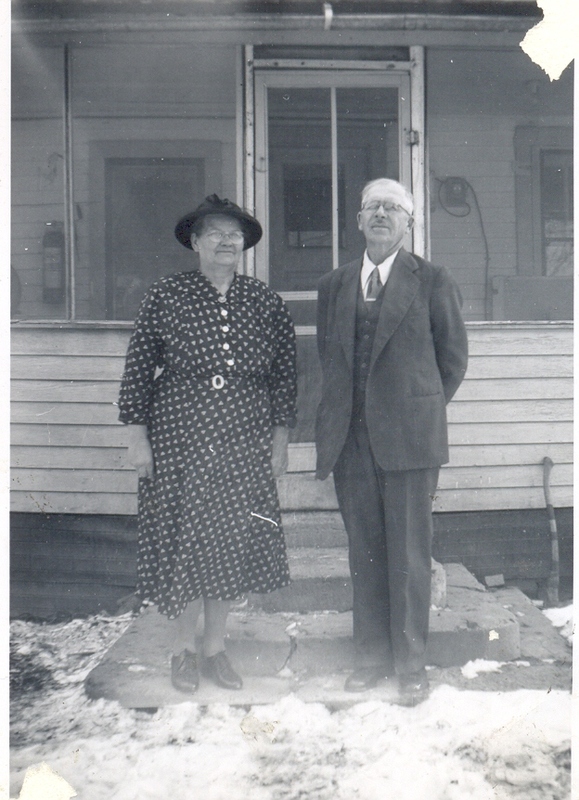 My grandmother, Eva Becker Schroeder, was born on April 20, 1894 in Marion, South Dakota. 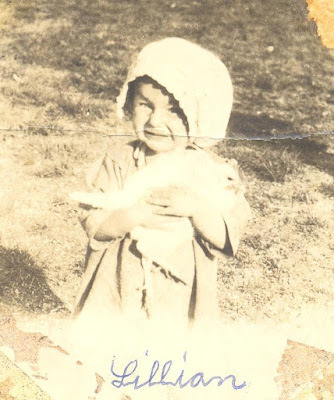 Her parents were both Mennonite immigrants who came to the United States from Russia as children. When the devoutly Christian family gathered at the table for their simple meals and daily devotions, German was the language in which they conversed. 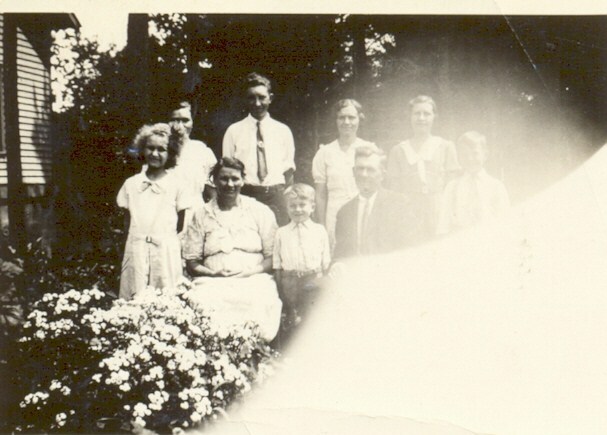 That table must have been stretched many times because there were eventually 13 children in the family, although they were never all home together since Eva and her older sister were already married before the youngest siblings arrived. The frantic pace of modern living seems very remote from Eva's childhood. These were the horse and buggy days when people lived more closely with nature. Winter meant hitching up a bob sled and putting covers over the horses and the passengers, except the driver who had no such luxury since he must keep his hands free to hold the lines. Sunday was the highlight of the week, when the whole family went to church in the horse and buggy or sled. In the church yard was a barn for the horses. Each family brought their own dinner. The worship served was held in the morning with Sunday School after dinner. Aunt Clarice arranged the gifts at the wedding. The the day after our wedding, before we left on our honeymoon, we stopped by my parents home to open gifts. There was a big pile of them. On no day, before or since, have I opened so many gifts. Friends and family had been generous, providing much of the basics we needed as we started our new life together. Most were practical, a few were extravagant. And now, so many years later (39!) I feel like I still remember them all.